I have been having some stomach issues lately so I am in search of the reason why. I am hoping to get to the bottom of it by adjusting my diet rather than depend on medication to do it for me. I have been reading until I feel like my eyeballs are going to fall out. It’s a lot to take in and planning a menu that eliminates all of the things that could be causing these problems require a spreadsheet. I am spending the weekend preparing some things that will help me and will start, in earnest, on Monday. I am attempting to only eat the foods that are classified as Low on the FODMAP food list. One of the things that I would have to give up is yogurt. I really love Greek yogurt and wasn’t happy to read that it wasn’t allowed. But, in reading further, I read that something called 24 hour yogurt was allowed. Off to Google I went in search of 24 hour yogurt. I used to make my own yogurt all the time and what I discovered is that 24 hour yogurt is made the exact same way except it is left in the oven for 24 hours instead of 12. The longer the culturing process goes on, the longer the culture has time to multiply, thereby increasing the amount of bacteria and acids in the yogurt while decreasing the lactose content of the milk. 2 tablespoons commercial yogurt like Fage or any yogurt with live cultures. 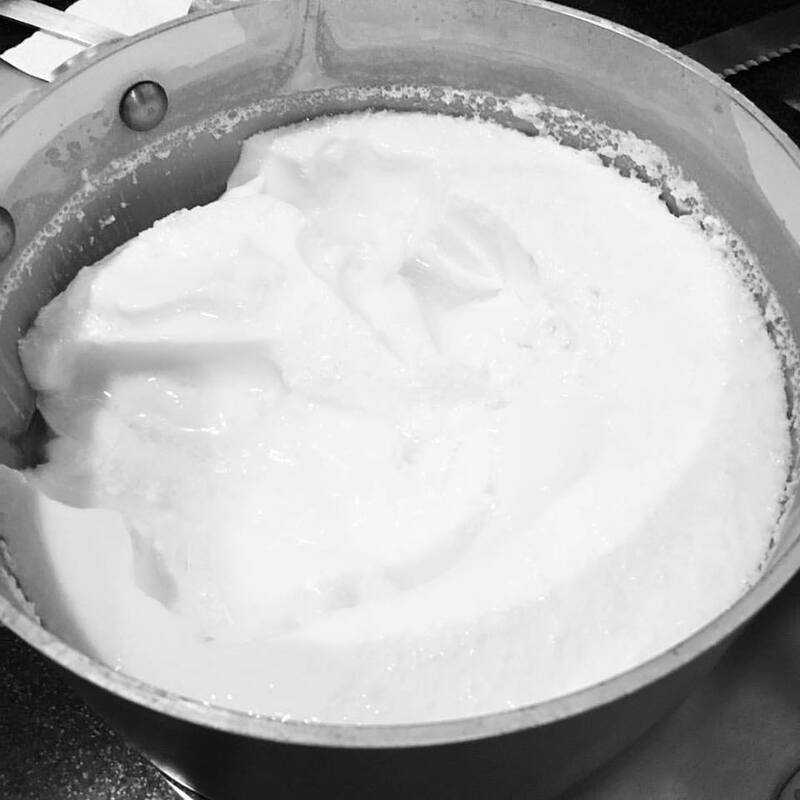 Put the milk in a pot and heat it to 180 degrees. If a skin forms on the top of it, skim it off. Allow the milk to cool to around 110 degrees. Whisk in the yogurt. Turn the light on in your oven. Cover the pot and wrap it with a towel. Place it in the oven and leave it for 24 hours. If you want a yogurt that is more like Greek yogurt you will have to strain it. I have tried several different methods but I found the best, cheapest and easiest way to do it was by using a jelly strainer. Put the yogurt in the strainer and leave it for several hours. 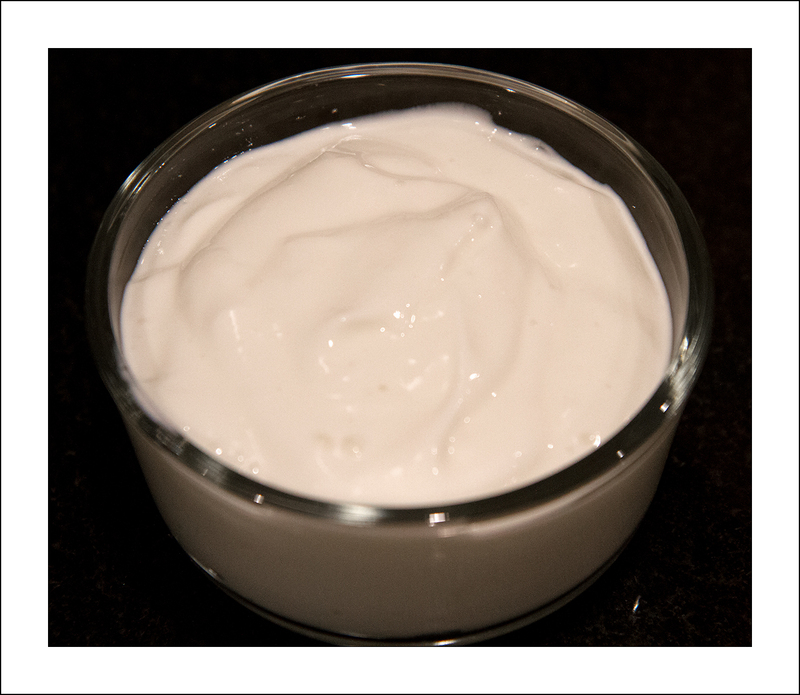 The whey will strain off and you will be left with a thick yogurt that also substitutes nicely for sour cream. I will add a link to the strainer that I use. Whether you are trying to cut down on the amount of lactose in your diet or you just want to try making your own yogurt, I hope you will try this recipe and let me know how you like it. This is a link to the type of strainer that I use. It comes with 2 bags. I put one bag inside the other to get the finest mesh. I just found your blog via the fig crisps post- Thank you! I love the new perspective and willingness to experiment that you bring to your recipes. Regarding straining yogurt, have you ever tried a one-gallon nylon paint strainer from the hardware store? They are about a dollar. I got one several years ago to try making almond milk, and it works great for yogurt and cold brew coffee, et cetera. I was a little hesitant to use it with food since out was from the hardware store, but since the straining bags they sell for nut milk are nylon too I figured it would be all right. The elastic top makes it easy to fit inside a pitcher, and the price is right! I hope your diet goes well, and that you’re able to identify the problem and enjoy food again without worries! Thanks again for a great blog. Thanks! I haven’t tried those strainers but I will go get one today. I’m not so happy with what I’m using now and I have to make a batch of yogurt today so I’m glad I saw your comment. I’m sorry it took so long!! Thanks again for taking the time to write!! Oh, great! I hope it works out for you. Let us know how it compares!